85% of Australians live within 50km of the coast, which means that for a lot of us, a seaside display isn’t that far away. Whether you’re a stone’s throw from getting your feet drenched or you’re way out beyond the black stump, the beach house look is a classic one that suits pretty much any home in Australia. Beach houses are designed to stay cool in heat, let the breeze run through, and evoke images of holidays and relaxation. Even if you’re nowhere near the seaside proper, it’s a good feeling to have permeating through your home. Designing a house around the beach aesthetic isn’t so hard, since the hard work is already done – most Aussies will already have a house suited to the climate (the only difference is that beach houses tend to be open plan, and not every home is). All you need is some upholstery, decorations, and a few themes to keep you going. Luckily, we’ve got you covered. Wicker beach chairs and baskets, bamboo, and raw wood in general is great for giving off a seaside look, particularly when paired with canvas sheeting (the sort you’d see on more beach chairs). A hammock outside wouldn’t go amiss in this style. Everyone, at some time in their life, has entertained getting a hammock. Maybe it’s time? It’s definitely time. Beach houses are often open plan, breezy (to let the cool coastal breeze take the heat off of things) and allow lazy, warm light to enter through the windows. Keep the curtains open and let that gorgeous, amber glow filter through the house. In terms of colour, light sky blues, whites, and sea-blue is obviously the classic combination, but white and soft browns are another good pick (the classic nautical house display vs. the wicker approach, basically). Basically off-white is your beacon, although anything sea-related is still on the menu. Turqouise, or as rich a blue as you like, work perfectly for a feature wall or on an area or piece that you really want to draw attention to. Either way, giving off the feeling of cool breeze and warm days is what you’re after. Experiment with the lighting in your house — try keeping the curtains off the living room in the morning for a bit to see if that gives off that lazy warm feeling, or keep the doors open (that’s assuming you’ve got a fly screen!) and hope the breeze around your parts suits it. GET SOME NATURAL SEASIDE OBJECTS! There’s very little more like the beach than the beach itself, funnily enough. 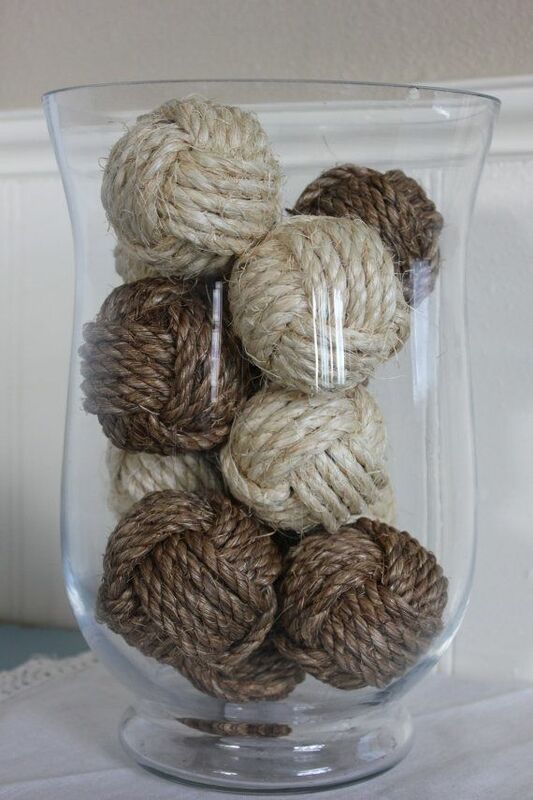 Some nautical accompaniments hung on a wall, a mantle, or just strewn in a bowl can make your place seem closer to the shore by itself. Shells of any sort. Conches look great! GET SOME (UN)NATURAL SEASIDE OBJECTS! Another idea in the same vein: get a few man-made beachy implements! Throwing a floatie ring over the mantelpiece gives a right focal point for the room, usually with a message of the place you got it from. Glassware (especially if filled with sand or shells). One place every seaside getaway has to get right is its outdoor relaxation. The patio is super important; it’s where you go to unwind in the morning, or afternoon, or whenever you feel like. It’s your beach house, your holiday, and you’ll do what you want! A hammock, sofa, or suite of chairs that catch the morning sun is compulsory, as is a table for a delicious brunch, preferably in the garden or on wooden decking. Lastly, try to remember that a beach house isn’t somewhere where you have to stand to attention. There’s a certain lack of fussiness sometimes about it, where it might just be okay to sit on comfy seats at the dinner table instead of dining chairs, or to use a stump instead of a nightstand. Wicker, bamboo, and rattan work well to achieve this already, but just keep it in mind when you’re deciding between the bench or the beanbag for a place to sit. Making it too formal might change the mood, which is somewhat of the whole point of the place. Try to keep the place relaxed and effortless, and you’ll feel relaxed when inside.